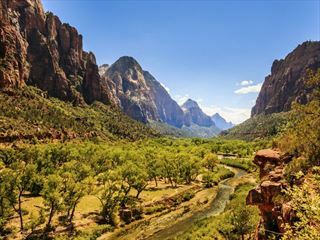 Spanning three remarkable states, the Western Discoverer tour showcases the best of the west with visits to national parks, vibrant cities and iconic destinations over the course of a 14-day trip. 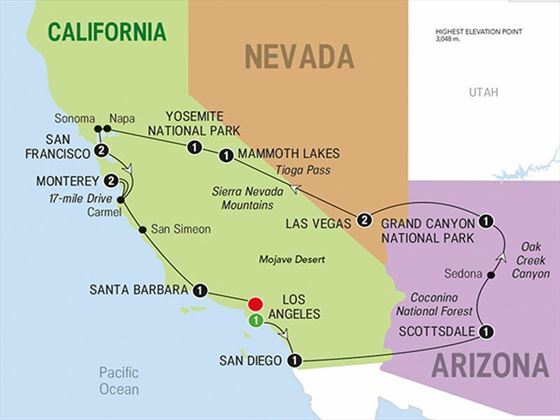 Beginning in the City of Angels, you’ll make your way to San Diego, Scottsdale and onwards to the amazing Grand Canyon National Park. From here, journey to Las Vegas, Mammoth Lakes and Yosemite National Park, before heading north to Sonoma, San Francisco, Monterey and Santa Barbara. An exciting, inspiring and unforgettable experience, this trip takes you on a breath-taking journey to a host of famous sights. 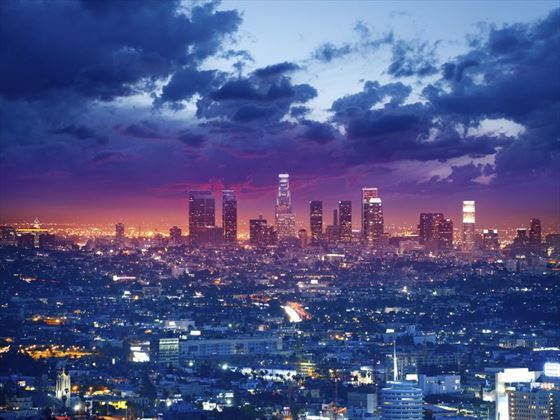 Arrive into Los Angeles and transfer to your hotel. In the evening, you’ll meet with your group and tour guide at a welcome reception. Travel to San Diego this morning and enjoy some time to get to know this city with a tour of the Victorian Gaslamp Quarter and Old Town, as well as the quaint gardens and Spanish colonial-style museums. There will be some free time in the afternoon to enjoy the area before joining your group for dinner in the evening. 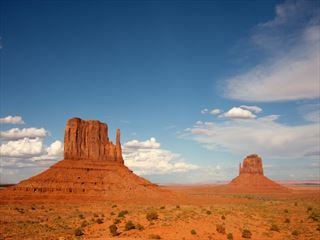 Journey east towards the Sonoran Desert and keep a lookout for the unique saguaro cacti which dot this landscape. In the afternoon, arrive in the desert playground of Scottsdale where you’ll have the evening at leisure. Make your way through the pine groves of the Coconino National Forest on your way to Sedona – be sure to get your camera ready when you venture near the Oak Creek Canyon, with its towering red cliffs and crystalline pools. 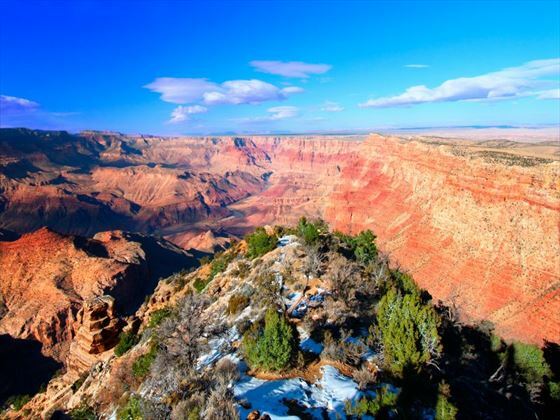 In the afternoon, you’ll arrive at the Grand Canyon where you’ll meet with a local guide who will invite you to learn more about the fascinating geology of this natural wonder. Leave the stunning scenery of the Grand Canyon this morning to make your way towards Las Vegas – transfer to your hotel in the heart of The Strip and enjoy a high-end buffet in the evening for dinner. Today is a free day in one of the most spectacular locations in America – the choices are endless, from visiting the casinos and shopping spots to taking an optional experience at the Hoover Dam, an engineering marvel that spans the Colorado River. You could take a ride on the observation wheel for amazing views over Vegas or simply relax by the pool. 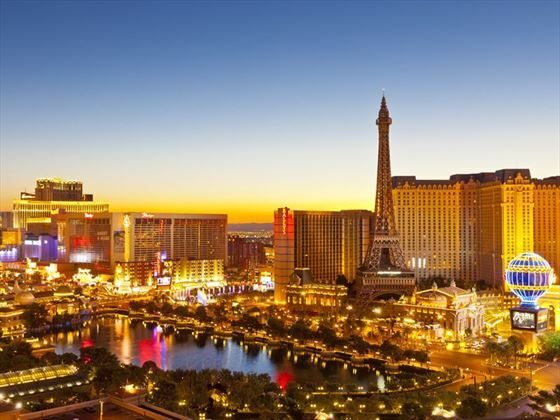 Depart from Las Vegas today and make your way through the Mojave Desert to the Mammoth Lakes, set on the eastern slopes of the Sierra Nevada Mountains. The evening is at leisure to enjoy the area and the hotel facilities*. *If the weather conditions cause the Tioga Pass to be closed, typically between October and May, the overnight stay will be in Fresno at The Doubletree. 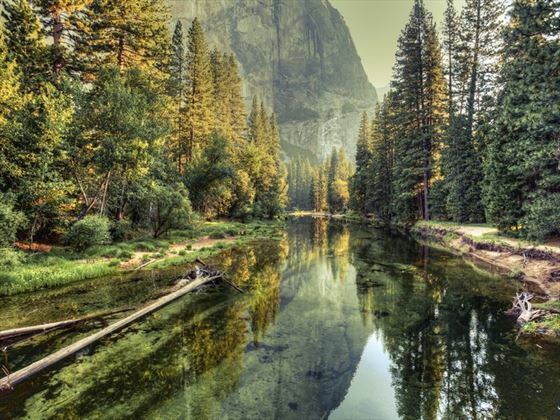 Descend from the Sierra Nevada Mountains through the Tioga Pass (weather permitting) into the Yosemite Valley where you’ll pass the Bridal Veil and Yosemite Falls. Head to El Capitan and Half Dome and then spend the afternoon exploring at your own pace. Head north today to Sonoma where you’ll visit a family-owned winery for an exclusive tour and wine tasting session. 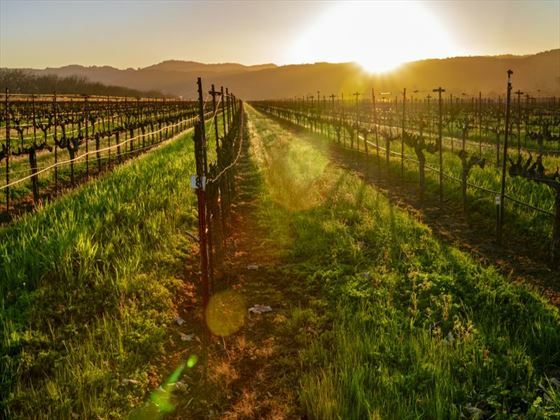 Afterwards, you’ll travel through Napa’s scenic vineyard-studded landscape to cross the Golden Gate Bridge into San Francisco. In the evening there’ll be a regionally-inspired meal with your group. 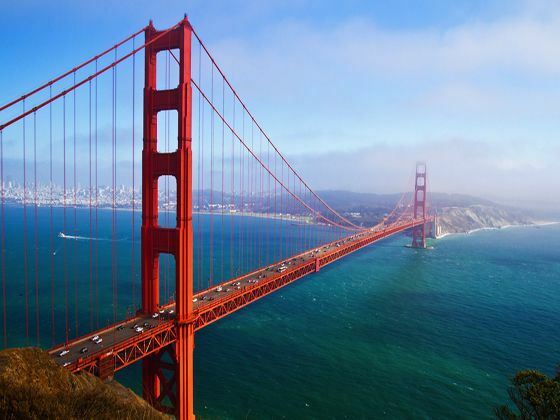 Enjoy a morning sightseeing from Fisherman's Wharf to Golden Gate Park. Then in the afternoon you have time to explore further at your own pace. The morning is yours to spend as you like in San Francisco before heading to the quaint village of Carmel-by-the-Sea where you can go shopping, wander along the water’s edge or enjoy a delicious coffee in one of the charming cafés. 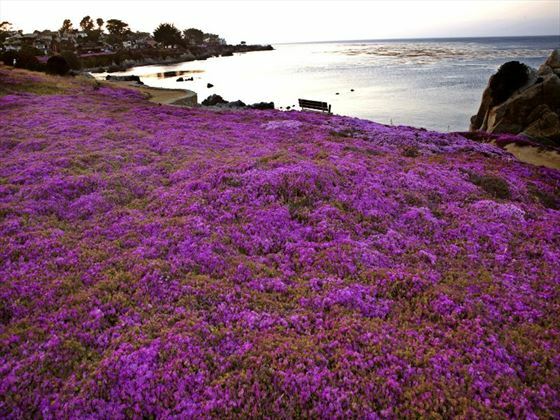 Cruise along the famous 17-Mile Drive, past the Lone Cypress Tree and Pebble Beach Golf Links, to spend the remainder of your day at the historic waterfront district of Cannery Row in Monterey. Journey south towards the Hearst Castle, which was once home to one of America’s most powerful men, where you’ll have the chance to take a guided tour of this amazing building. 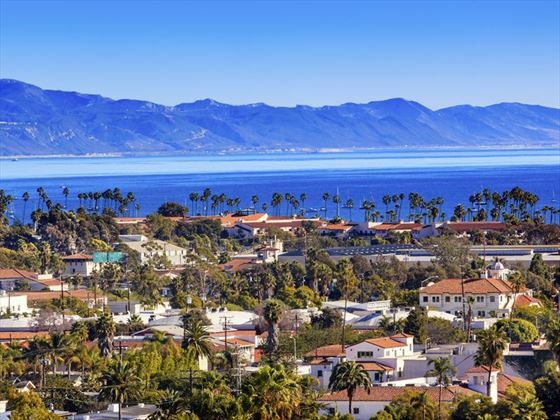 From here, continue on to Santa Barbara for your overnight stay. In the evening, there will be a delicious farewell dinner for you and your group to toast your trip, where you’ll be treated to a farm-to-table dining experience using seasonal local ingredients. 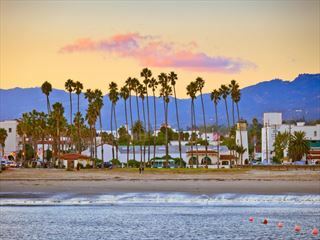 Head south from Santa Barbara’s golden beaches to Hollywood to see the iconic sign, Grauman’s Chinese Theatre and the Walk of Fame. Journey along Sunset Boulevard and through Beverly Hills as you bid farewell to Los Angeles on your way to the airport for your departing flight.